This article gives you the list of top 5 most reviewed PC games releases in 2011. Portal 2 is the No 1 most reviewed video game release in Pc. The game has got excellent reviews and ratings from different websites. Read the article full for more details. Here are the list of top 5 most reviewed PC games releases in 2011. Portal 2 stand at the top in the list followed by Total War: Shogun 2, Deus Ex: Human Revolution, LIMBO and Assassin's Creed: Brotherhood. More details about the summary of each game are given below. 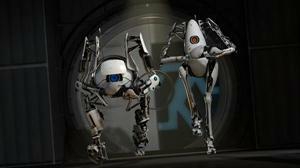 Portal 2 is one of the best first person puzzle platform game and most reviewed PC game in 2011. Portal 2 was released in the year April 2011. Portal 2 videogame is developed and published by Valve Corporation. The game was released in all platforms which include Microsoft Windows, Mac OS X, PlayStation 3 and Xbox 360. The game includes both single player and Co-operative modes. Portal 2 was awarded "Ultimate Game of the Year" in 2011 Golden Joystick Awards. 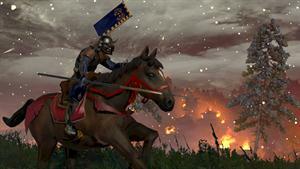 Total War: Shogun 2 is the second most reviewed videogame release in 2011. Total War: Shogun 2 is a strategy videogame which was developed by The Creative Assembly and published by Sega. The Creative Assembly was released in March 2011. Total War: Shogun 2 is a war game where the game play takes place in Japan. The game includes both single player and multiplayer gaming mode. You can buy the game from online websites like gameStop.com and Best buy. There are also many downloadable contents in the game. Deus Ex: Human Revolution is the third most reviewed PC game in 2011. 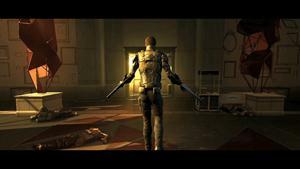 Deus Ex: Human Revolution is the third game in Deus ex series. Deus Ex: Human Revolution was released in August 2011. Deus Ex: Human Revolution was released in all platforms which includes Microsoft Windows, PlayStation 3, Xbox 360 and Mac OS X. Deus Ex: Human Revolution was developed by Eidos Montreal and published by Square Enix. The game was written by Mary DeMarle and James Swallow. The game includes only single player gaming mode. Deus Ex: Human Revolution is one of the best Action role playing and high reviewed video game release 2011 in PC. As the name, Limbo is a small game but the game has got excellent reviews and ratings. 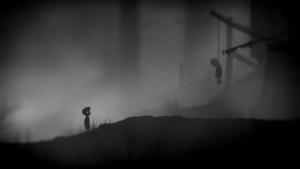 Limbo is one of the best Puzzle platform game released in all platforms Xbox 360 (XBLA), PlayStation 3 (PSN), Microsoft Windows (Steam) and Mac OS X. Limbo was released in August 2011. Limbo was developed by Playdead and published by Microsoft Game Studios. The game play takes place in a dark area where player will play as a small boy. Limbo is one of the highest selling videogame in Xbox 360. The game includes only single player gaming mode. Limbo has won "Best Visual Art" award in 2011 from Game Developers Choice Awards. According to the latest statistics, more than 1 million copies of Limbo is already sold in all platforms. Assassin's Creed Brotherhood is the fifth most reviewed video game release in PC. The game was also released in PC, Xbox 360 and PS3. 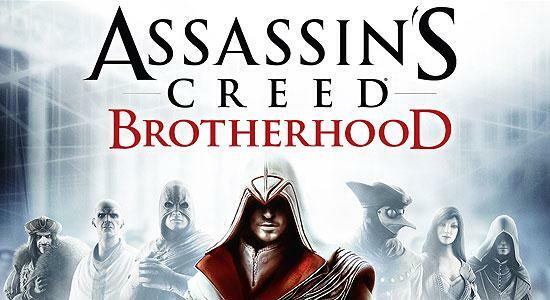 Assassin's Creed: Brotherhood is one of the best third person action game released in 2011. The game was released in the year November 2011. Assassin's Creed: Brotherhood was developed by Ubisoft Montreal and published by Ubisoft. The game includes both single player and multiplayer gaming mode. The game play of Assassin's Creed: Brotherhood takes place in Rome. The game has got excellent graphics and interesting stages through out the game. The game has got excellent ratings and reviews from different websites and gaming company.